Most precious metals gained Wednesday, Nov. 14. Gold futures rose 0.7%. Gold and silver futures closed higher Wednesday for the first time in five sessions. Silver rebounded from a 34-month low. Platinum extended its losses to five straight sessions while palladium ended ahead for a second day in a row. Gold for December delivery rose $8.70, or 0.7%, to settle at $1,210.10 an ounce on the Comex division of the New York Mercantile Exchange. 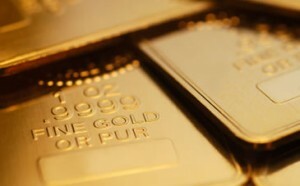 "Being long gold has been a tough investment since 2012, and so often, when we see the yellow metal gaining traction, the [U.S. dollar] regains its mojo, and we see the inevitable reversal," MarketWatch quoted Chris Weston, head of research at Pepperstone Group, in the call of the day featured in the column. "However, as we look into our crystal ball and gaze into 2019, emerging warning signs can be seen that suggest 2019 could be the year where gold bulls finally get their day in the sun." Gold futures ranged from a low of $1,198.10 to a high of $1,216.60. They fell 0.2% on Tuesday — marking their lowest price since Oct. 10, and they shed 0.4% on Monday. Silver for December delivery added 10.3 cents, or 0.7%, to settle at $14.08 an ounce. Silver futures traded between $13.86 and $14.15. They declined 0.2% on Tuesday — ending at their worst price since Jan. 15, 2016, and they lost 0.9% on Monday. January platinum fell $7.50, or 0.9%, to $833.80 an ounce, ranging from $829.10 to $844.90. Palladium for December delivery jumped $18.10, or 1.7%, to $1,110.20 an ounce, trading between $1,085 and $1,117. Gold rose $1.15, or 0.1%, to 1,203.25 an ounce. Silver lost 5 cents, or 0.4%, to $13.97 an ounce. United States Mint bullion sales increased by 415,000 ounces in American Silver Eagles. Below is a sales breakdown of U.S. Mint bullion products with columns listing the number of coins sold during varying periods.